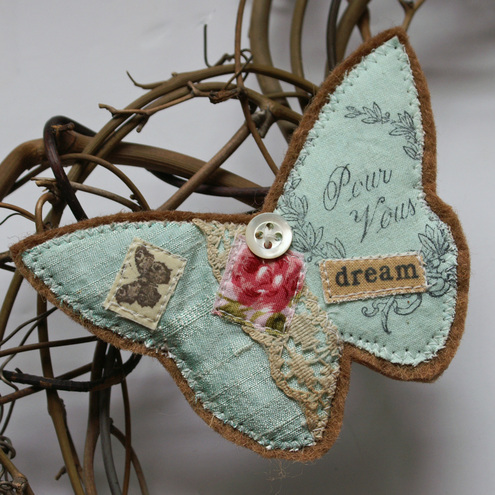 Made with silk and cotton with lace and a vintage button. It is backed with wool felt. A lovely accessory to any outfit. 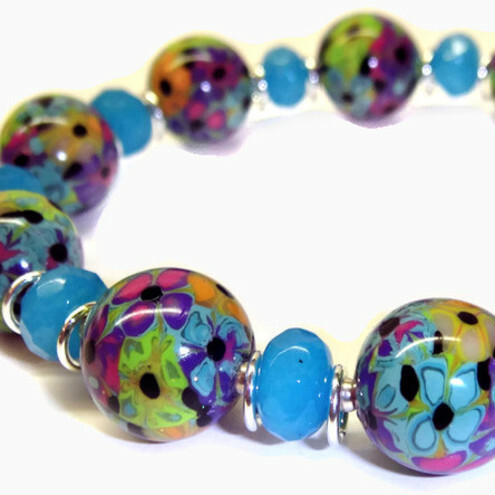 A striking multi-colour stripe design - jade, blue, pink, red, khaki green, tangerine and more. The quality cotton fabric has been stiffened with interfacing for strength, structure and durability. Fleece interlined and fully lined. Ribbon and button fastening to match. 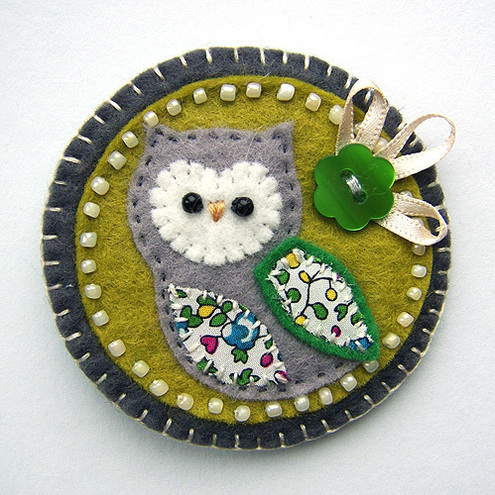 This is a lovely handmade fabric brooch. Give your child a set of these crayons and make them extra fun! 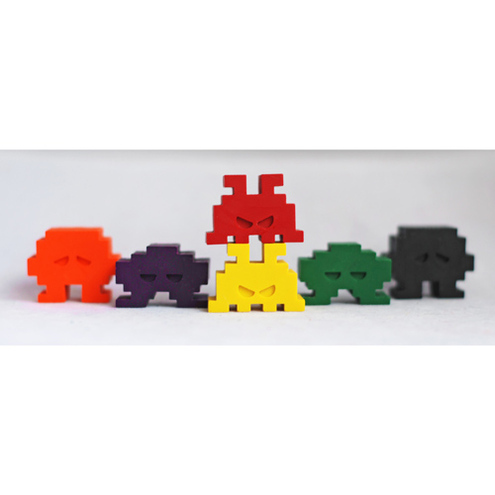 This set includes 4 space invaders in green, orange, black, red, purple and yellow. These crayons are hand-poured using only non-toxic, high quality melted CrayolaÂ® crayons. Folksy :: Buy "Pack of 3 Mini Cards - Inspiration"
Coloured pieces of card have been handpainted with eco-friendly acrylic paint which has then been 'crackled' to give a distressed look. The images have then been stamped with black archival ink and the designs have been mounted onto white card bases. 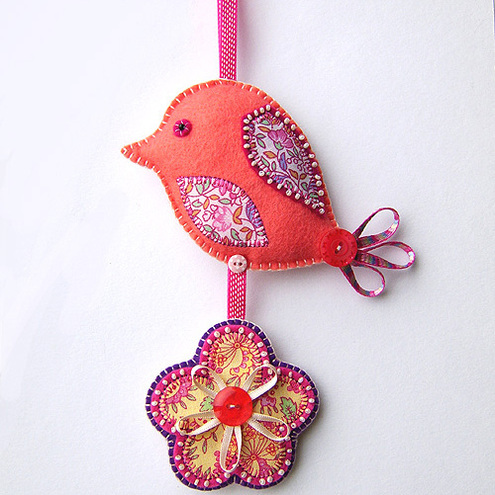 This is a pretty hanging decoration featuring a felt bird with appliqued wing and belly in cotton floral print fabric. It is finished with beading details and a pretty ribbon and button tail. Folksy :: Buy "Gift Tags"
A set of 5 handmade gift tags. 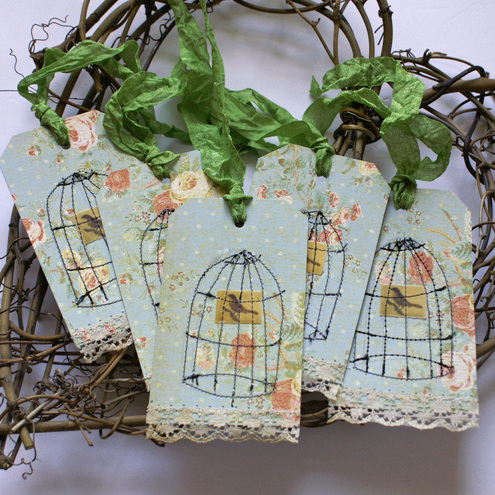 Each tag is made from heavy card and features a bird in a cage. Finished wih lace and distressed green ribbon. Plain white on reverse for you to write your message. 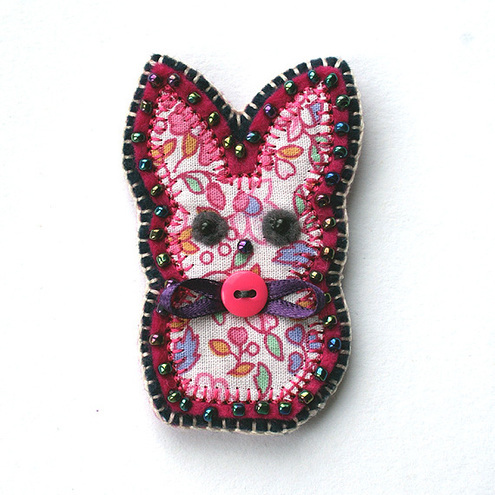 Folksy :: Buy "Rabbit Brooch"
This is a cute handmade rabbit brooch. 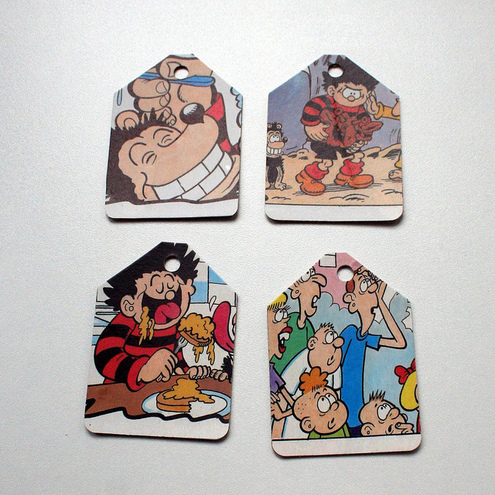 Folksy :: Buy "Set of 10 comic recycled gift tags - Dennis the Menace"
Folksy :: Buy "New Home plaque made to order"
You can order a NEW HOME plaque for someone moving house and you can have it personalised with their new house number! Folksy :: Buy "Bird of Paradise pewter box"
A beautiful handmade leather antique lace case. This design has a *(new)* strap that will keep your loved iphone/itouch in place. This case is lined using beautiful soft leather to protect your iphone/itouch from the inside. We can make these cases with any of the existing designs you can see in our shop! 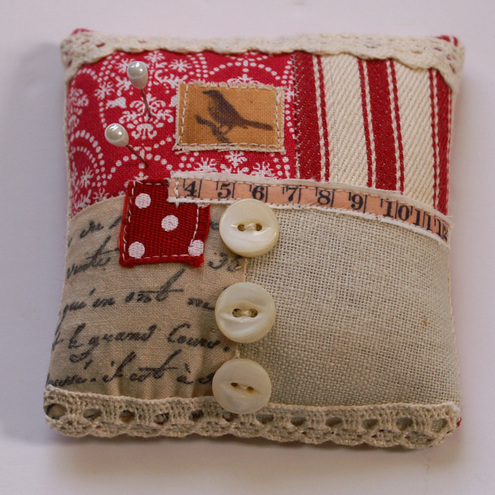 Folksy :: Buy "Lavender Scented Pin Cushion"
A pretty shabby chic style pin cushion, made with cottons and linen mix. It has been filled with poylester stuffing and some french lavender has been added for a delicate scent. Finished with 2 vintage buttons. Comes in a pretty pink gift box.